Sen. Kirsten Gillibrand, D-N.Y., is interviewed about military sexual assaults on Capitol Hill in Washington, Thursday, April 30, 2015. WASHINGTON – The Navy’s top officer was rebuked on Friday over his mishandling of a case involving the misconduct of an aide at a boozy Christmas party inside the Pentagon and that officer’s predatory behavior toward junior subordinate women officers. The Pentagon Inspector General's office upbraided Adm. John Richardson for the failure to discipline his spokesman Cdr. Chris Servello in a timely way. The investigation stemmed from an office Christmas party in 2016 during which Servello, dressed in a Santa Claus outfit, slapped a civilian woman’s buttocks. Later, at an after-party, Servello allegedly made sexual advances in a "predatory" way toward subordinate officers. The incidents and the failure to act were detailed in a USA TODAY investigation last year. The report, released Friday morning, said Richardson acknowledges that he should have acted sooner to handle the case and has put policies in place to prevent a recurrence. The inspector general found Richardson's actions did not amount to official misconduct but called on the Navy secretary to review his performance. "We believe that Adm Richardson’s failure to ensure that (Servello) was removed from his personal staff in an expeditious manner – for 4 months after he decided to reassign the (Servello) and take administrative action against the (Servello) – sent the wrong message about how seriously Adm. Richardson took the allegations of sexual harassment. We agree with Adm. Richardson that he should have acted more expeditiously." The inspector general’s report takes accountability for sexual harassment and misconduct to the highest levels of the Pentagon. In recent years, illicit affairs and inappropriate behavior have felled several generals and admirals. Richardson, a member of the Joint Chiefs of Staff, is the highest-ranking officer to be directly criticized for his handling of a case of inappropriate sexual behavior. Servello's name is redacted from the report, but he has acknowledged that he is the officer referred to by investigators. Secretary of the Navy Richard Spencer defended Richardson, saying in a statement he has done an "outstanding job." Spencer said he has "reviewed and discussed" Richardson's actions and said "what he has learned from this experience he will pass on to the next generation of leaders, making the Navy even stronger." The Pentagon has been rocked by several scandals involving senior officer misconduct in recent years. A USA TODAY investigation last year found more than 500 cases of serious lapses, almost half of them involving personal or ethical lapses. Richardson kept Servello on his staff for nine months despite warnings by an investigator who branded Servello’s passes at junior officers “predatory,” and the recommendation that Servello be immediately reassigned to a non-supervisory post, an investigation by USA TODAY found. Richardson said he had followed the advice of his lawyers in handling Servello’s case to protect Servello and those who had accused him of assault and harassment. Servello continues to work as a public affairs officer and has been tasked with helping upgrade the Defense Department’s website. 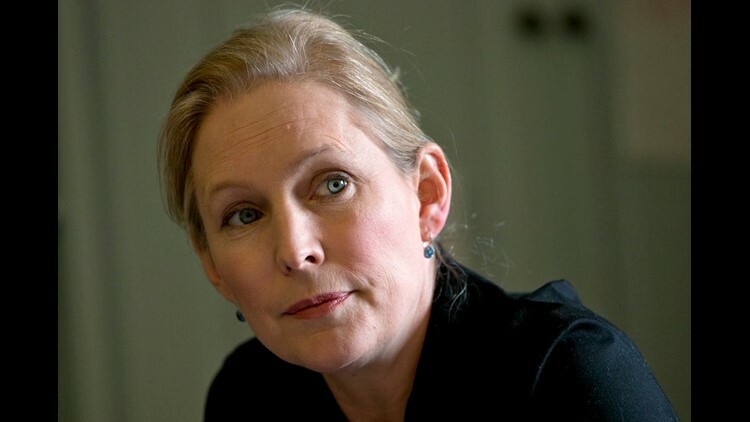 Sen. Kirsten Gillibrand, a New York Democrat and member of the Armed Services Committee, petitioned Fine to conduct the investigation. Servello has expressed regret for poor judgment, but has noted that this career has been damaged. At the Christmas party in the Navy’s public affairs headquarters at the Pentagon, Servello slapped a civilian on the buttocks, which she told investigators she found humiliating, according to documents obtained by USA TODAY. Servello was also accused by a junior officer of giving her lingering, unwelcome hugs. He also made advances toward another officer, which prompted one of her colleagues to intercede. Gillibrand called out Richardson on his failure to act sooner during a hearing on Capitol Hill in April. On Friday, Gillibrand released a statement calling the IG report "deeply concerning" and saying it "reflects a culture that still does not take military sexual assault or harassment seriously." Richardson acknowledged that it took too long to resolve the case but said competing claims slowed the process. “I have become acutely aware that that may have sent a bad message, particularly to the survivors of the behavior,” Richardson said. “So my radar has been completely re-tuned in terms of sensitivity to that message. I hope that we’ve arrived at a good place at the end of this event. It took longer, in hindsight, than it should have. And if I were to do it again, I’d move faster." Don Christensen, president of Protect Our Defenders, an advocacy group for victims of sexual assault in the military, said Richardson should have been fired. He called the report "disappointing but unsurprising." The Pentagon misconduct scandals, including the Bad Santa affair, prompted Congress to pass a law this year aimed at penalizing officers who have been involved in sexual misconduct cases. The Pentagon must now launch an investigation to determine if officers found to have committed misconduct should be able to retain their security clearances in retirement. That qualification is often demanded by security contractors offering retired officers lucrative jobs.